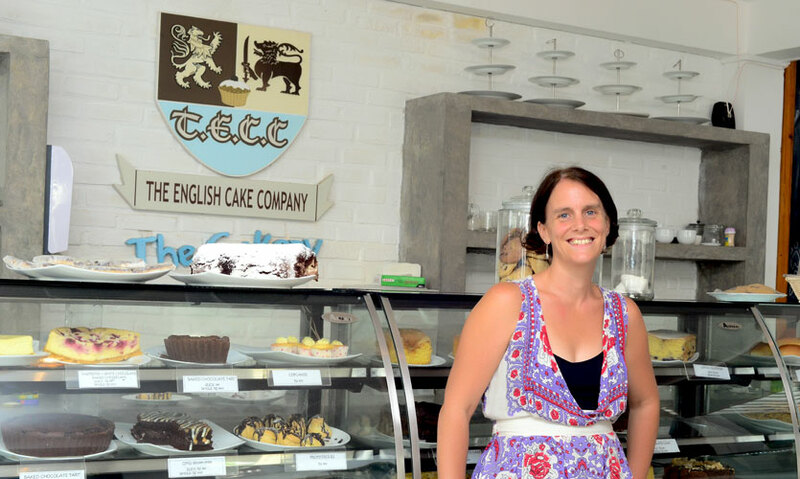 The English Cake Company is known for their gooey cakes, cheesecakes, tarts and pies and all this came about because Ellie Galapitage just couldn’t find good quality cakes in Colombo. She is a home baker who put together a bunch of recipes out of which the ones she likes are sold at their shop down Sulaiman Terrace. 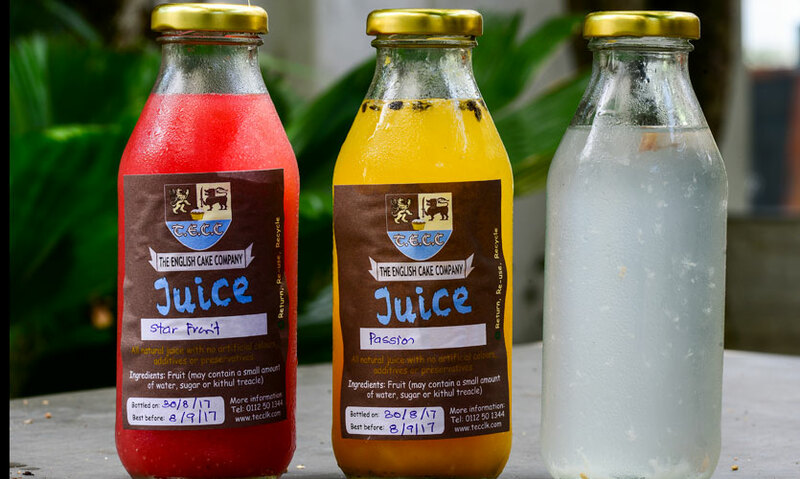 Apart from the scrumptious cakes they also have a range of savoury items, juices, yoghurts and sauces as well as a frozen range of food that only needs to be popped in the oven and enjoyed. 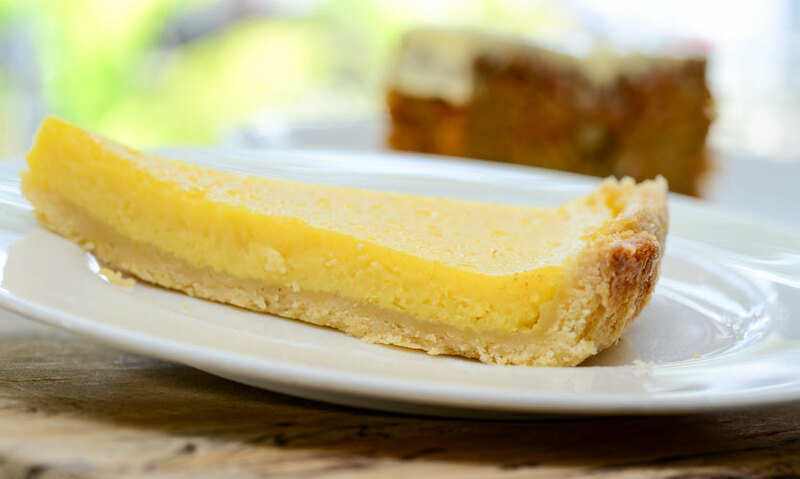 The most notable factor about what is served at The English Cake Company is that there are no artificial flavours or additives and only natural fruit or flavours are used. The come as you are, and enjoy what we have feel is what makes the place inviting. At The English Cake Company, they are environmentally conscious, which means, they encourage you to have a look at your bill on the screen, they don’t use plastic cutlery and straws while their packaging comes in the form of either a paper bag or box while their juices and yoghurts come in glass bottles and jars. 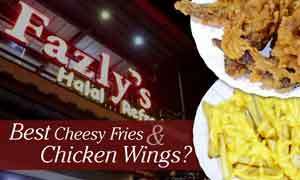 Malinda Herath the manager gives the place such a friendly tone, you end up going back for the delicious food and him! 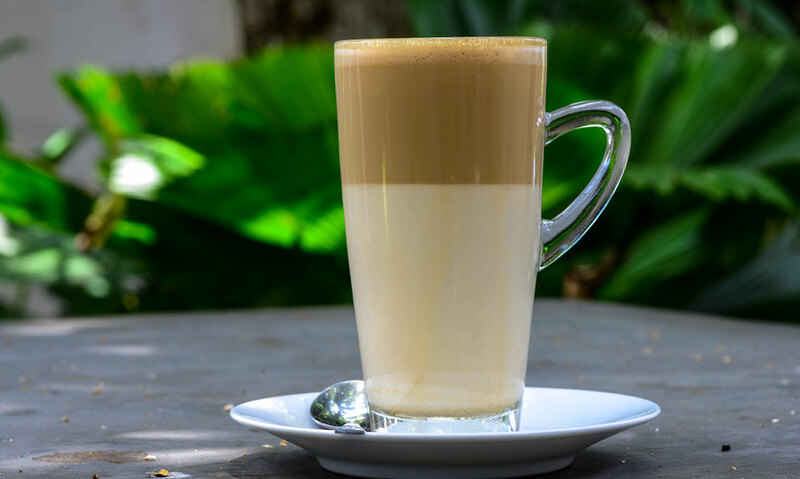 We tried both their fresh Passion Fruit Juice (Rs 260) and a Caffè Latte (Rs 380). The former was refreshing as a Passion Fruit juice should be I personally I felt it was too sweet. The Caffè Latte was decent. 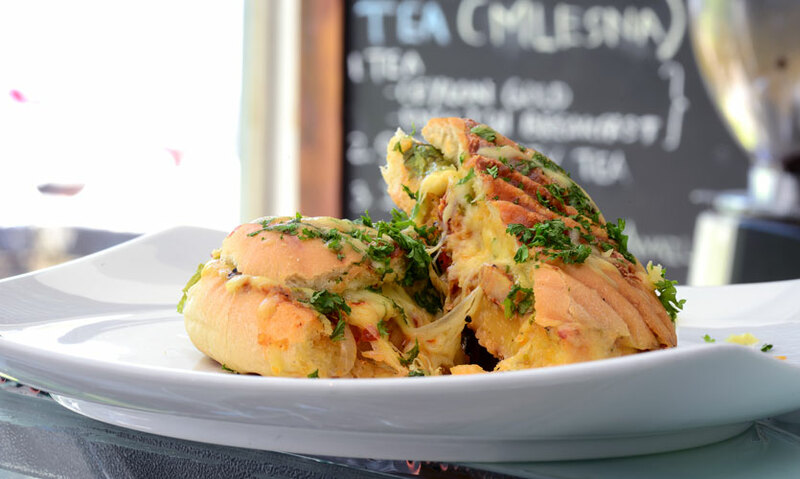 Their Bagel stuffed with Cream Cheese, Smoked Salmon and Pol Sambol (Rs 650) is an absolute must have. 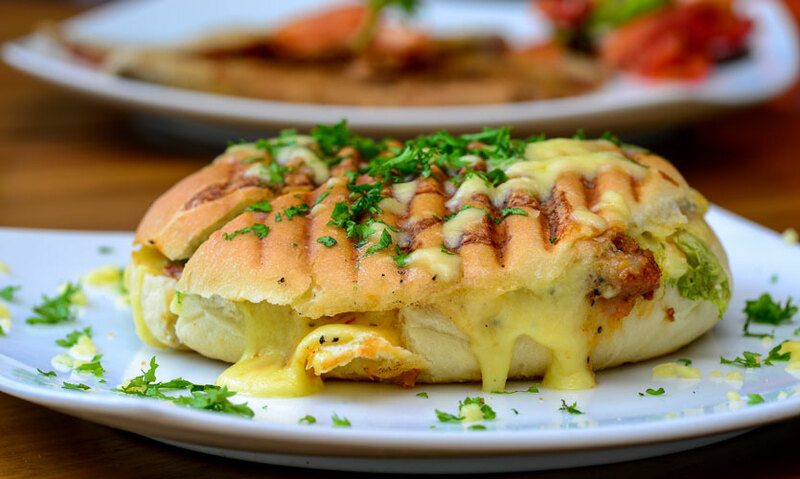 The lightly toasted bagel is home to a stunning combination of creamy, tangy and salty tones which will leave you wanting more not because the portion isn’t sufficient but because it is delectable. 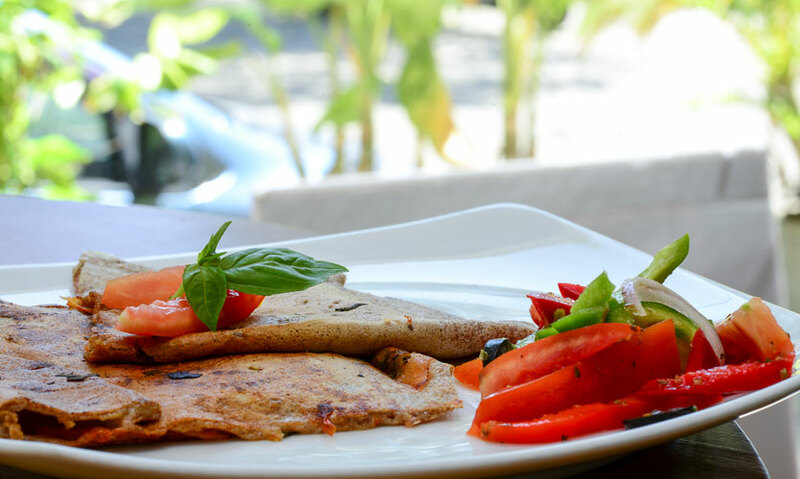 The Galette with Tomato, Basil and Cheese (Rs 500) although simple had such a wholesome feel. 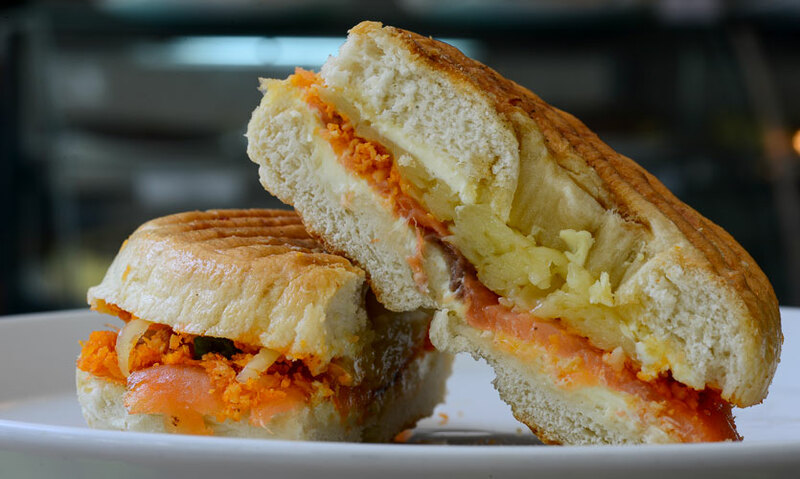 While a far more decadent sandwich, The Stack with Chilli Garlic Prawns, Cheese, Iceberg Lettuce, and their special Roasted Bell Pepper and Tomato Sauce (Rs 650) is also on my must have list at The English Cake Company. 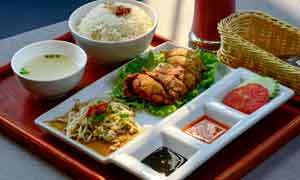 A lighter to-go option would be their Seeni Sambol and Egg Bun (Rs 100). 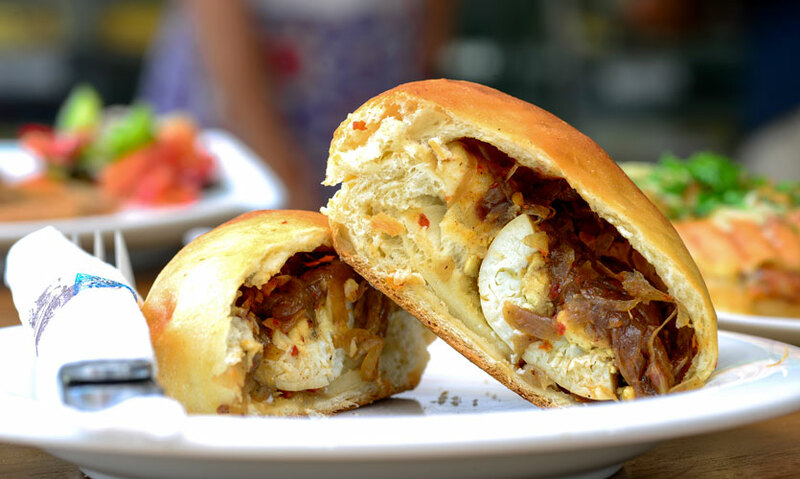 With its soft buttery bun and spicy seeni sambol coupled with a whole boiled egg, it is filling and delicious. 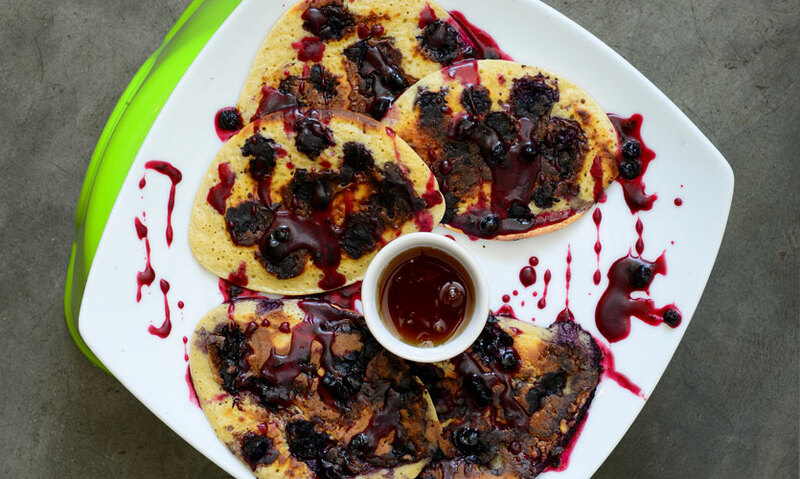 The Mini Blueberry Pancakes (Rs 550) with Golden Syrup was scrumptious and ideal any time of day, especially if you are an all-day breakfast person like me. 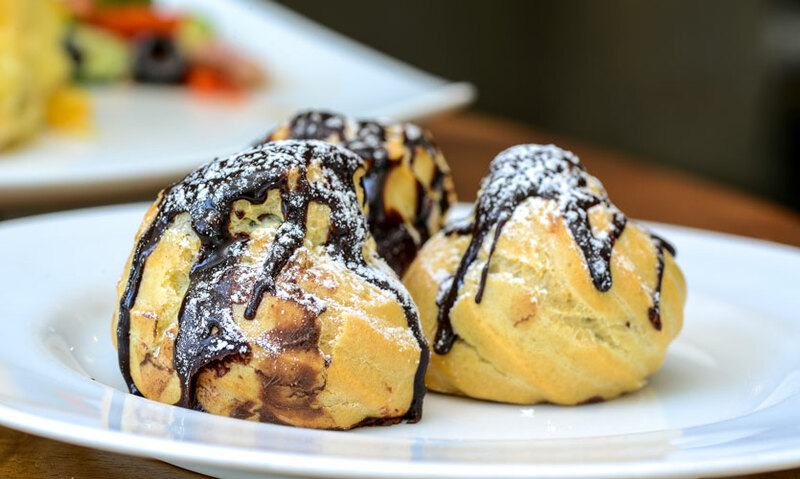 If Profiteroles (Rs 140) are your thing, you will love theirs as they come stuffed with either Chocolate Mousse or French Custard. The former is available throughout the week while the latter is available during the weekends. 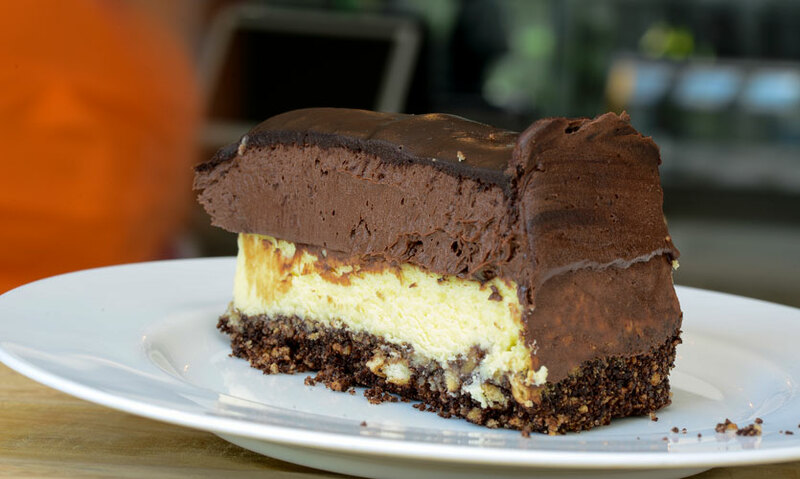 With a Chocolate Crumble based topped with Cream Cheese and Chocolate Mousse, the Chocolate Mousse Cheesecake (Rs 5,600/ Rs 560 per piece) is a rich, decadent treat well worth the calories. 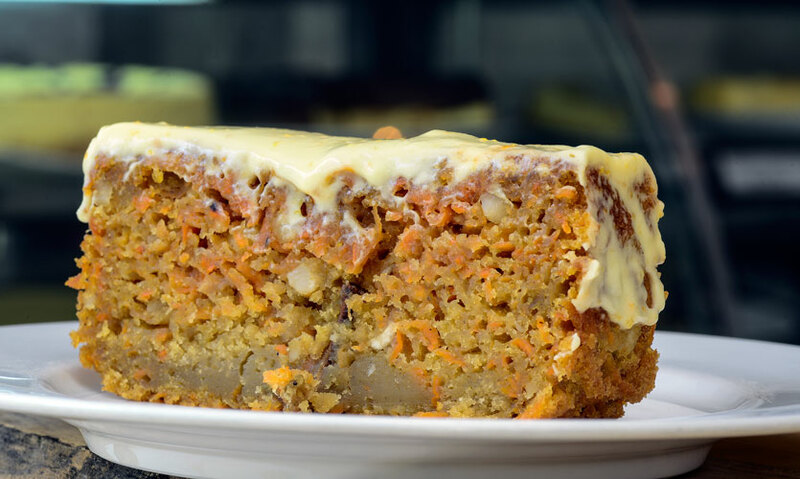 I am a sucker for good Carrot Cake and the Carrot Cake Loaf (Rs 2,200/Rs 240 per piece) with its dense yet spongy cake with carrot, apple and cashew nuts, topped with a cream cheese and orange topping is easily one of the best I have had. Their Passion Fruit Tart (Rs 3,000/Rs 320 per piece) with its buttery pastry base and sweet and tangy cream filling is a fruity, creamy burst of flavours not to be missed. While an absolute must have when you head to The English Cake Company is the Squidgy Chocolate Roulade (Rs 3,800/Rs 360 per piece). 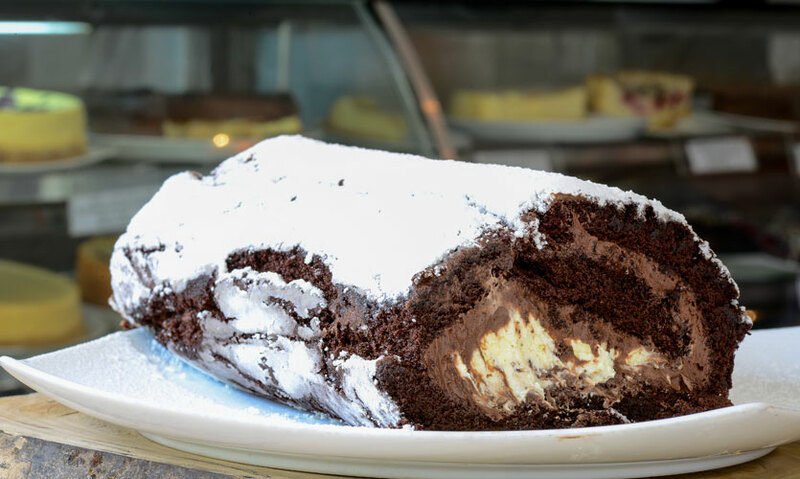 It is made with a flourless soft sponge while whipped cream and fresh chocolate mousse are rolled into it making it an item out of your raunchy chocolaty dreams! The toilet floor was a little messy and wet possibly due to a plumbing issue on the day but has the necessary amenities. The cafe is very clean while the open kitchen concept is reassuring.